March 22, 2019 — The New Year means the start of tax season. The Federal Trade Commission is warning people to be on the lookout for suspicious calls that claim to be from the Social Security Administration. Scammers are ramping up their efforts to steal Social Security numbers to use in filing fraudulent tax returns. You answer the phone, and it’s someone alleging to be from the Social Security Administration (SSA) or another government entity. The name on your caller ID may even back that up that claim. The caller says your social security number has been used to fraudulently apply for a credit card or commit another crime. In order to fix the situation, the caller needs you to confirm your SSN and other personal information. If you don’t cooperate, the caller threatens to take you to court or have your Social Security number blocked or revoked. No matter the details, the stories are designed to induce fear. Scammers hope that under pressure you will tell them your SSN and other sensitive personal information. Scammers can use SSNs to commit identity theft and file tax returns in your name to steal your refund. Remember, the SSA will never call you asking for your Social Security number. They will never ask you to pay anything, nor will they threaten your benefits. Don’t trust your caller ID. The internet has made it possible for scammers to use fake IDs when they call your home. If you receive a suspicious call, don’t make any important decisions based on what your caller ID says. Contact the Social Security Administration: If you are concerned about a call you received from someone who claims to be with the SSA, you can call the real SSA at 1-800-772-1213 (TTY 1-800-325-0778). 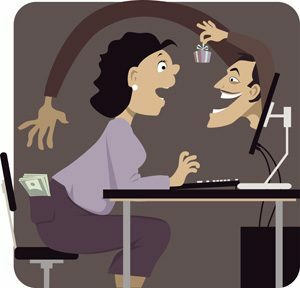 Here is a list of some of the most common scams being perpetrated on unsuspecting consumer. To learn more about other kinds of scams, go to BBB.org/ScamTips. If you’ve been targeted by this scam, help others avoid the same problem by reporting your experience at FTC.gov/Complaint and BBB.org/ScamTracker.